Paul Endycott says the NSW government is committed to changing bad behaviour. The third week of Operation StateTrans shows a tiny minority of offending on particular measures but speed-limiter tampering stands out. Truck drivers faced 1,910 random drug tests and 13,277 breath tests, returning 29 positive results to drugs, with four for alcohol. On a statistic basis, however, that rate of offending is dwarfed by mechanical malfeasance. Traffic and Highway Patrol Command Officers working alongside Roads and Maritime Services officers have downloaded 456 engine control modules, revealing 85 having been tampered with to allow speeds of more than 100km/h. Assistant commissioner John Hartley, Commander of Traffic & Highway Patrol Command said the ongoing focus on compliance will deliver safety benefits for heavy vehicle drivers, operators, and all other road users. "We want the industry to be safe, but this needs to involve strict compliance and enforcement. "With 65 heavy, light truck and bus fatalities in the last 12 months, we must work with industry to drive this number down." Police and RMS officers have now inspected 41,839 trucks and trailers, issuing 3,795 defects, and 2,944 infringements and breaches. 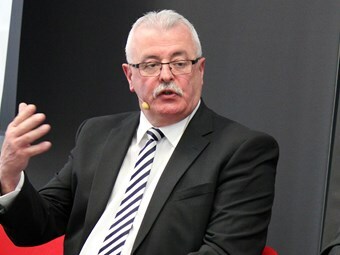 RMS general manager Paul Endycott says the NSW government is committed to changing behaviour across the heavy vehicle industry to reduce the number of deaths across the road network involving heavy vehicles. "This dangerous and unsafe behaviour will not be tolerated and any individual in the Chain of Responsibility who breaches dimension, load restraint and mass regulations risks fines exceeding $10,000, suspension or cancellation of registration and driver licence," Endycott says. "Penalties for truck and off road logistics and freight companies are even higher, in excess of $50,000 for each offence." Issues identified by officers throughout the operation so far include: fail to comply with dimension requirements – severe risk, fail to comply with loading requirements – substantial risk.